The Erie Otters take on Owen Sound Attack on Wednesday, December 3 at 7pm. Straight No Chaser, the acapella sensation, will perform at the Warner Theatre at 7:30pm on Thursday, December 4th. 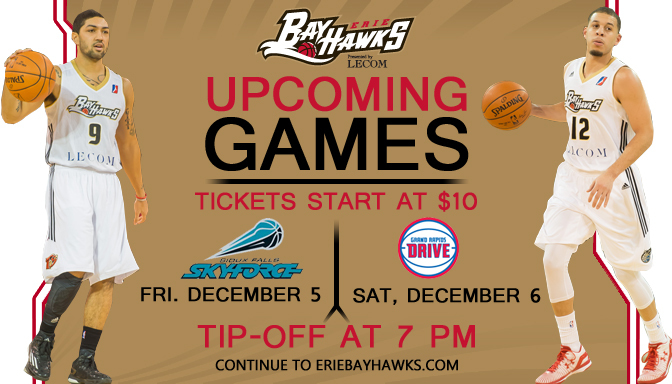 The Erie Bayhawks return home this weekend with a 7pm game Friday and Saturday night. 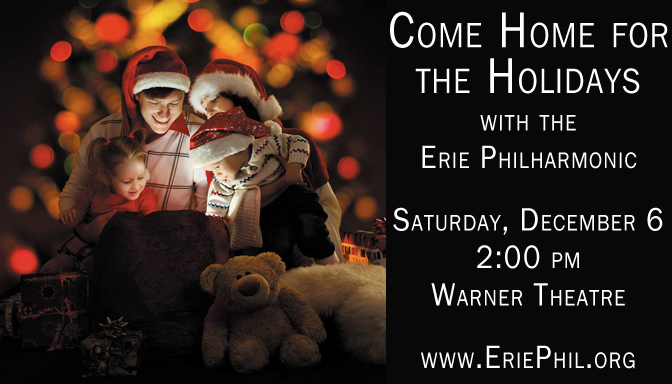 Also on Saturday night, the Erie Philharmonic will take the stage at the Warner Theatre “Come Home for the Holidays” with a 2pm and 8pm show. More information at http://www.eriephil.org. If you want to extend your weekend into Monday, get your tickets now for Sister Act at 7:30pm Monday night.